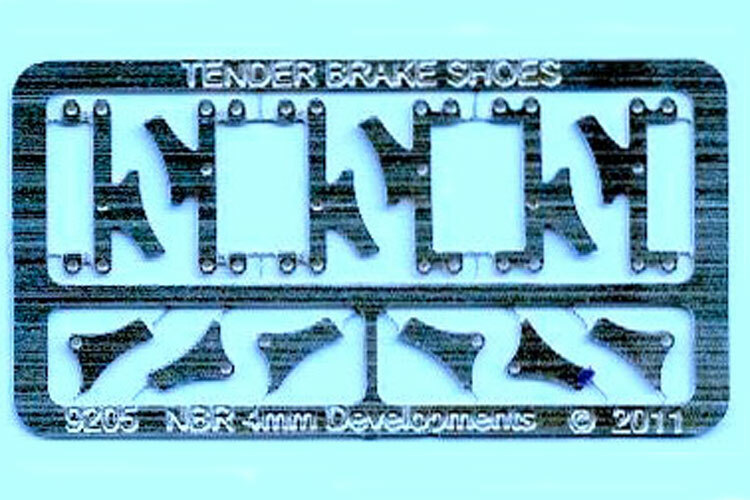 Brake shoes and Hangers fitted to both the NBR and CR tenders were very similar in both size and design. The 9205 etch can be used for loco tenders of both companies. 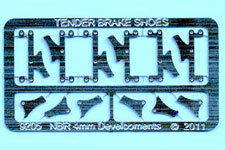 The etch contains 6 brake shoe overlays and 6 brake shoe hangers. This item is now back in stock, and the etch has been redrawn. The etch is on 0.55mm nickel silver.